Boy it's hard to believe it's already March.. Where did the time go. Seems we were just celebrating New Years.. This is my card. I was trying to make a sky for another card I was thinking about.. I used masking tape and then started to blend the yellow/purples with Ranger ink.. Well I did not like it for the sky but it was to pretty to toss.. so went looking at my dies and stamps for something long and solid. 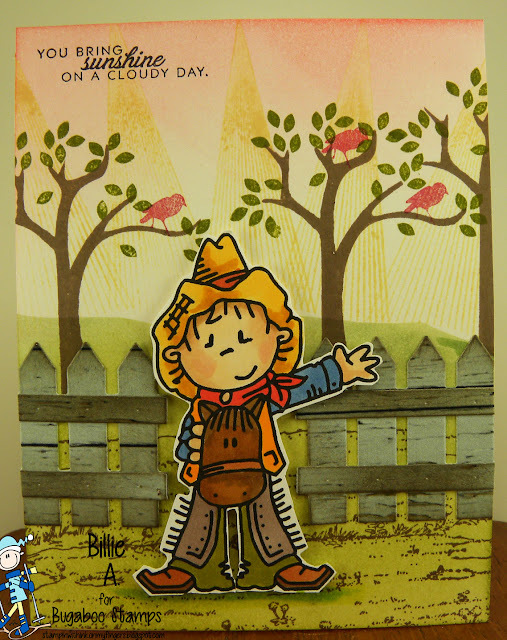 I found this awesome silhouette die from Taylored Expressions.. Perfect.. 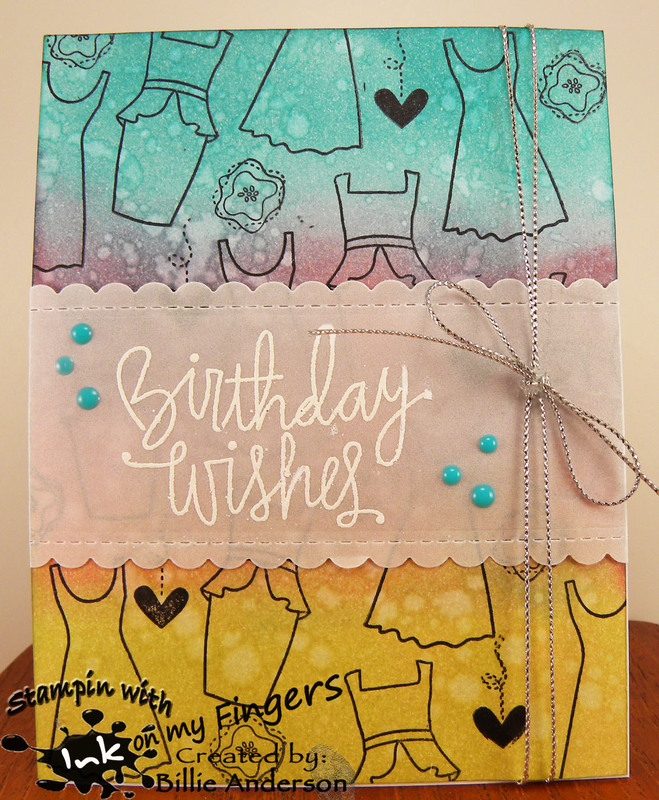 So I softly used some more of the yellow and did the other half of the card. I took a thin strip of Washi tape and put down the center. I then cut the flowers out of black and adhered them. I adhered one right to the card base and then the one on the left is on foam dots. I cut the thanks out of my silver shinny (bought by mistake) paper and added it over the stems. (I did die cut the word out of fun foam so it has dimension) I am loving the look. Happy Mistake!! Well it's the last day of February.. This month sure went fast. It's been weird weather month all over the US. We've had the rain, (lot's of rain) snow (not much) and sun.. East coast and mid west had it worse with snow and Calif. had it really bad with the rain.. I guess in Washington State I cant complain.. This is the New Release "Kitty Home Scene" I colored the image with copics. I then trimmed the piece with Simon Says stitch scallop die and did the same with the blue plaid.. I added it to the Kraft card stock. I added some black glaze pen, white gel pen and glossy accents. It's done.. 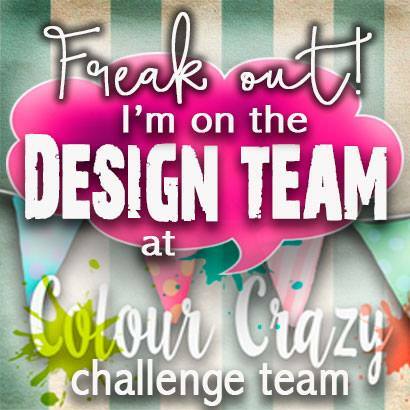 Please check out the Design Teams creations. 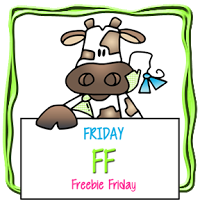 Welcome to Free Friday at Catch the bug.. you can find the Free image over at the Bugaboo Store. 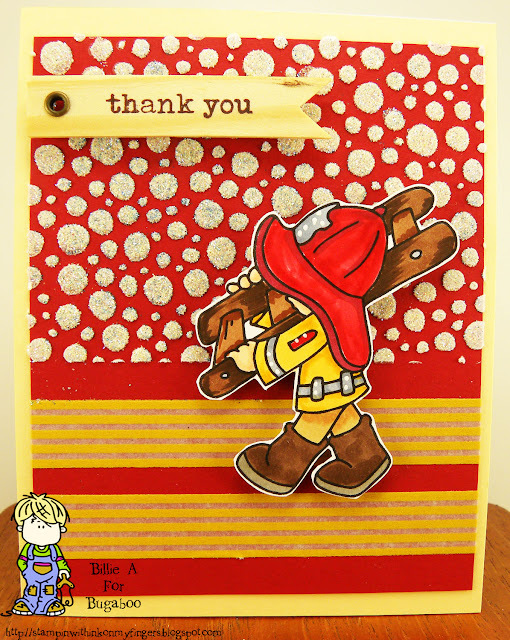 This image is called SB Fireman Ladder... I was kinda stumped on what to do for the background and thought ok time to break out the Washi Tape which I have a pile of on my desk.. I then though I needed something above so dug out some stencils and texture paste. Well once that was added it looked like snow.. NO I don't want snow.. so I added glitter to it.. So now it's glittered snow.. dang not what I wanted but it is what it is.. I also thought it was good to make this a Thank You card for those who are there in our hour of need. I hope you take time to head over to the Catch the bug site and see the cards the DT members did. This is my fun card using the Finch on pine.. I love the hint of snow and the beautiful bird. I love coloring and used copics. 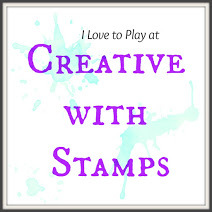 I inked up the inside flap of the Stampin Up wood embossing folder, laid down my white paper and ran it through my Vagabon embossing machine. I love the brown wood grain background. I used a brown chalk ink. I think it would be pretty with SU soft suade. I used a piece of SU card stock I think it's night of navy or the other one that is similar. I used the Tech. Tuesday sentiment and embossed it in white. I added some Jellibean twine and added some Simon Says feathers and a couple wood looking buttons. 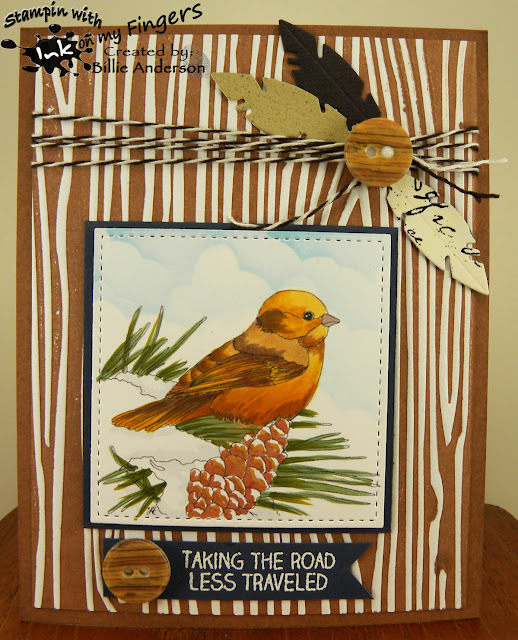 Oh I used the Stampin up stitched die for the bird area. I have to say I love this card and the bird. The snow on the pine cone I just left white instead of coloring it but the snow around the bird I added a hint of C1 copics and my cloud template and Ranger ink. 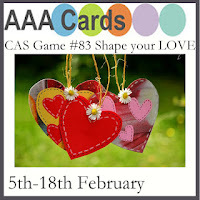 I hope you play along and remember to add a sentiment to your card. 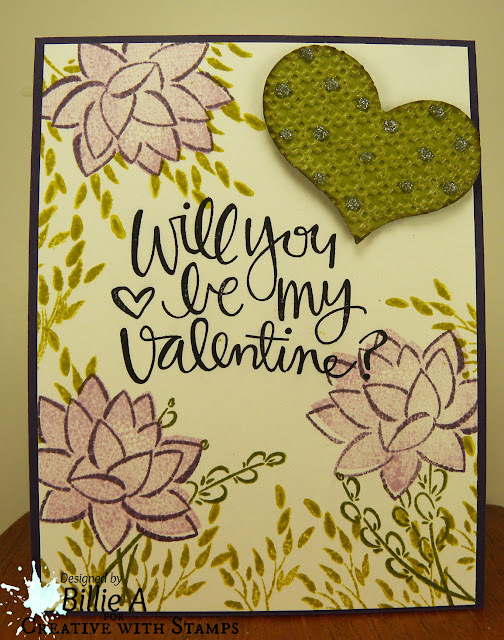 I chose dry and heat embossing. 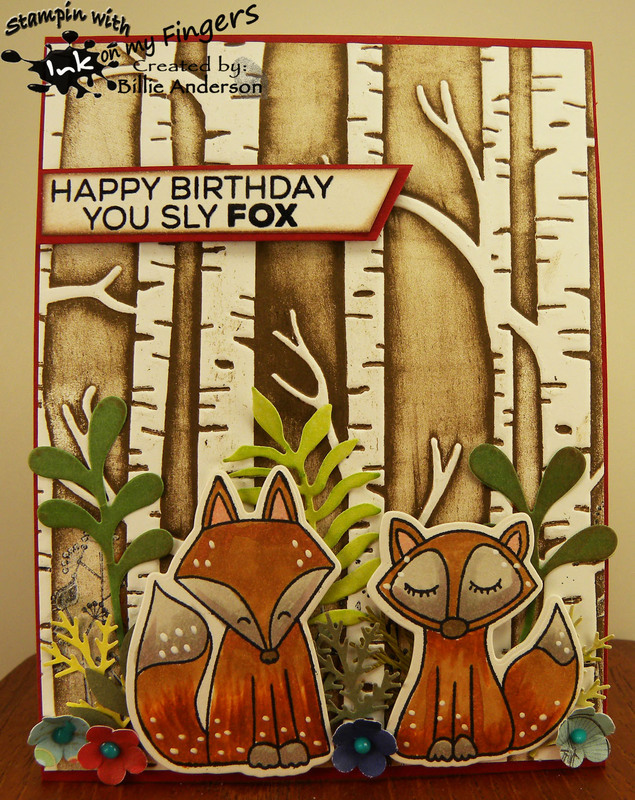 I used the Sizzix birch tree embossing folder and rubbed the inside flap with Soft Suade by Stampin up and embossed the white paper. The Fox's and sentiment are from Tech. Tuesday and the sentiment is heat embossed. I had some leaves sitting around die/punched from Martha Stewart - Stampin up - Ek .. and added them behind the fox's. 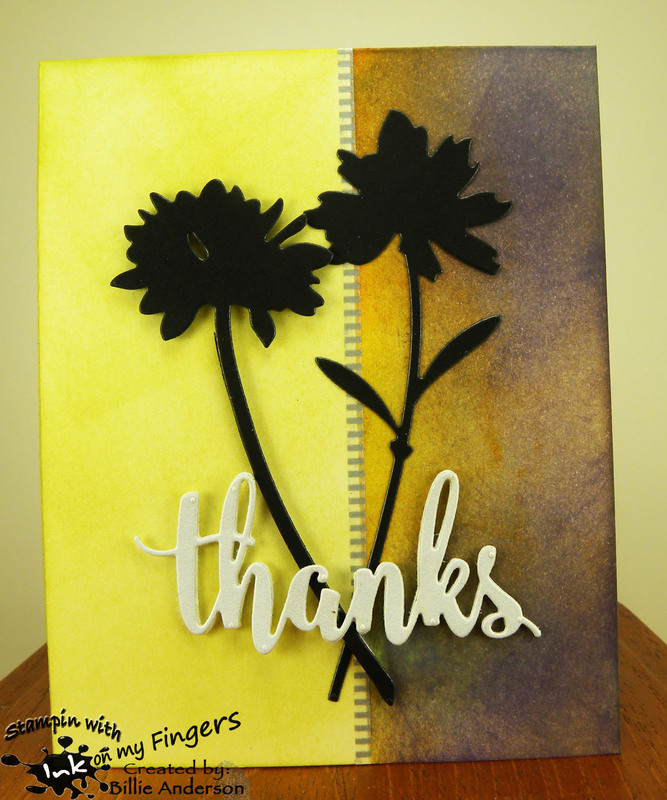 I added some Stampin up punched flowers along the bottom and the center is Nuvo drops. I colored these darling fox's with copics and added some white gel pen for highlight spots. 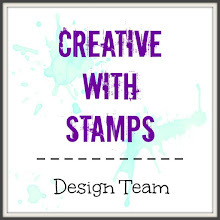 I sure hope you can play along and enter your awesome card over at Stampavie and More.. Embossing/heat/dry.. The new release is "BABY".. I colored it so it could be used for Boy or Girl.. I found some pre cut tags in a bag of stuff I had stashed away so I took my Kuretake Gansai Tambi paints and added the background. While I dried I colored in the "BABY" with copics and added a Hot off the press brad to the tag hole and then I backed the tag with black using my corner chomper.. I took my Great Impressions heart stamp and Versa Mark and stamped all over the green and then added the tag. 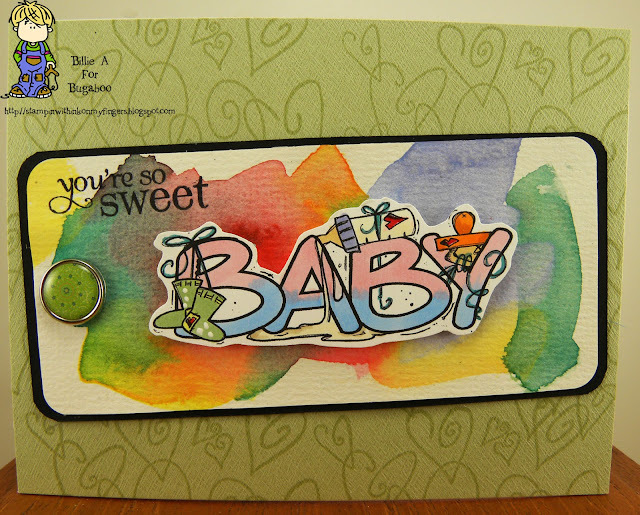 When I was done I thought (hubby also thought) the word baby looked funny by itself so I dug around I was looking for Welcome or something like that but then found this Verve stamp "you're so SWEET".. I thought it was perfect.. mostly cause I couldn't find a Welcome.. you'd think with all the stamps I have I would have one.. hum.. is it time to shop?? like I need an excuse.. 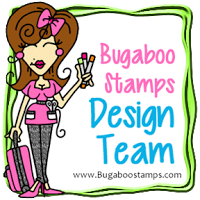 I hope you head over to the Bugaboo store and check out this cute image. If you can head over to the Catch the bug site and see the DT members cards. Monika's card is posted now. UP DATE: Monika is running late on her posting. She said she will post at 9pm her time(Germany) (so 12 noon pacific nw time) so please check out her card around that time. It's Billie and Monika challenge time again.. Only between the two of us. I will pick February / March.. Monika will pick April / May.. so on and so forth.. (we will take a Aug/Sept. break) We will post once a month on the third Monday. 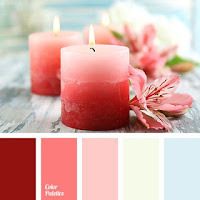 Monika's blog is Creative with Monika, she lives in Germany and is a very talented lady. I love that she seldom uses designer papers. Most of her backgrounds are created by her. I love that. 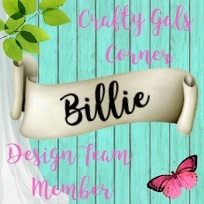 I am to Americanized.. We have so many stores with craft supplies and I understand the other side of the big pond they are limited or too expensive. I guess I am just spoiled but I have been trying to create my own background more and more. Ok since I got to chose the theme.. It's CLOTHING.. without a body.. so no one wearing cloths.. 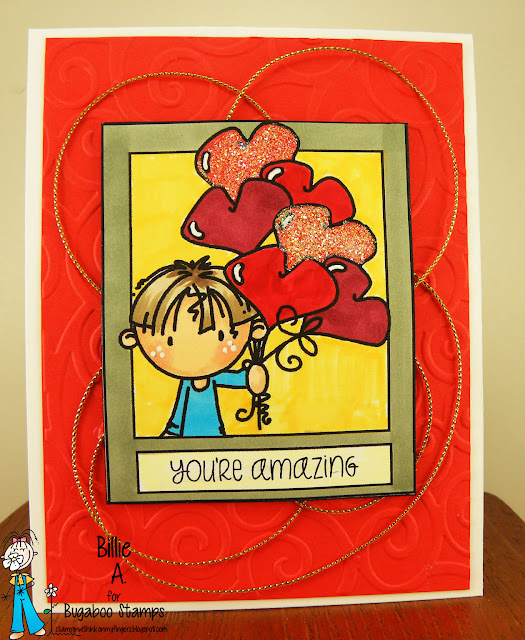 I used Simon Says stamp set for the background and scallop border die.. The sentiment is white embossed on Vellum .. love the look. I used Nuvo crystal drops and Stampin up silver twine. The background is Ranger inks sponged on and water drops for a distressed look. I am pleased with the way it came out.. Now head over to Monika's blog to see what she did for our challenge.. See ya again the third Monday in March. 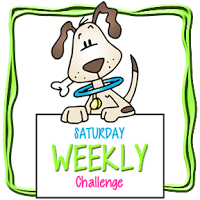 Welcome to another challenge at Catch the bug.. 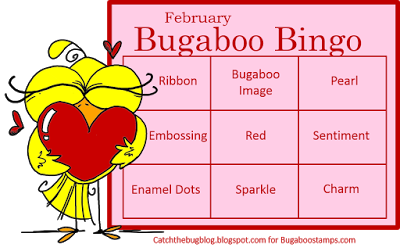 I used the center row.. Bugaboo image/red/sparkle... I used the Bugaboo image called Kidz Valentine's day I dry embossed the red background and added some Stampin up cording to the card. I then colored the image with copics and added glitter to two of the balloons for the sparkle. This could be used for so many occasions .. I like this sentiment from Simon Says. Hope you play along. Bugaboo store to get the fun image while it's free. Look at this cuttie.. I sure had fun making the background scene for him to be in. I started with PTI rays stamp to give a look of the sun coming up.. then added some pink with Ranger ink to give that red sky in the morning feel. I used some different greens by Ranger and did the ground. I found this old stamp from Rubber Baby Buggy Bumper for the grass area. I used a Simon Says tree stamp and birds. Then I used a PTI fence die and some Quick quote scraps to make the fence. I colored the image in Copics and used the Paper Trey Ink sentiment because of the sun rise I first started with. It's always ANYTHING GOES.. and remember we go for two weeks now.. I'm still getting use to it. Well looking through my 6x6 papers I found this awesome paper.. I guess I should of looked a few weeks ago as Valentines day was yesterday.. But hubby got this card so it's not for waste.. This DP ?? was already what you see filled with love words.. 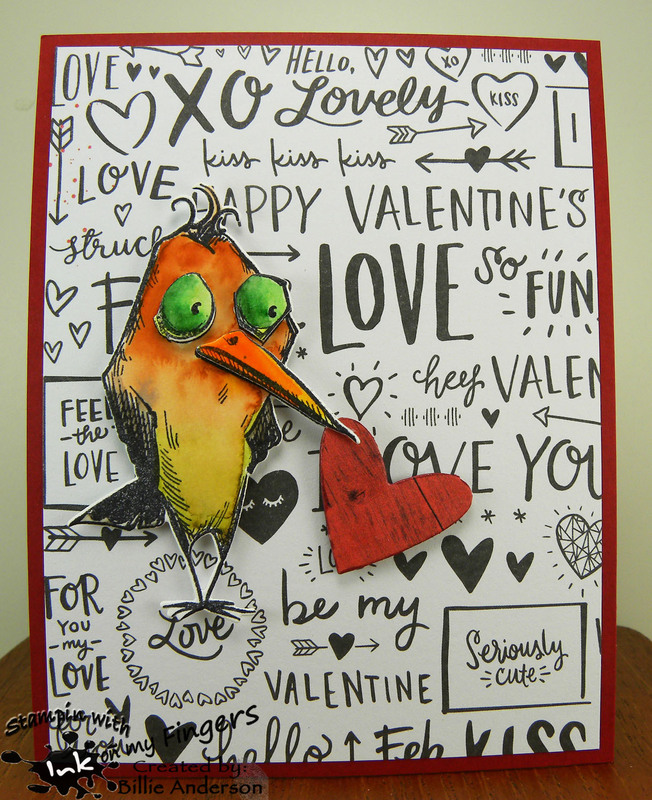 I just layered it on a red piece of card stock and stamped and used Zigg marker to colored the Crazy bird and using a My Favorite Things die I cut the heart out. I added Spectrum Noir glitter brush to the heart and his eyes.. Simple easy breezy card to make. Love it. 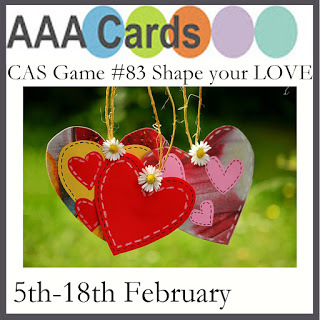 We are posting a day earlier because of this challenge being Valentines and it's a mid month reminder. 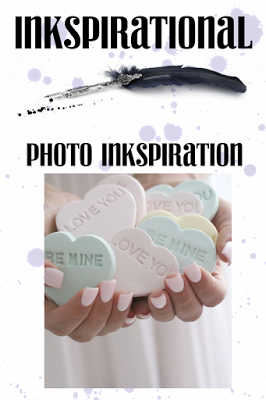 sure you must have a Valentines card to post over at Creative with Stamps #11 Valentines..
Creative with Stamps #11 VALENTINE - mid month reminder.. You still have time to play if you haven't reached your quota for our challenge.. I love seeing the awesome cards that have been entered already.. Thanks and sure hope your having fun and your loved one enjoyed your Valentine card yesterday.. 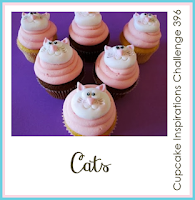 Mind did..
Add the blow challenge graphic to your blog challenge list. I received this awesome stamp set from the admin. 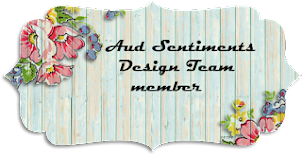 for our blog as a thank you for being on the design team.. That was so awesome. I was really touched. So I had to used parts of it for my Valentine card. The flowers and leaves are a part of the set from Basic Grey.. The sentiment is from Simon Says. 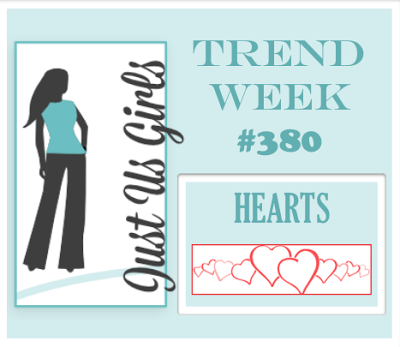 I thought the corner was a little lack of something so die cut a Spellbinder heart and ran it through my Stampin up embossing folder. it still looked a little boring so I used my spectrum glitter pen and still boring so added some jewel Nuvo drops to it.. In real... it looks awesome. This is the new release Fox cute little guy or gal.. I wasn't sure what the face was suppose to say (this image does come with a few sentiments) but I wanted to use a sentiment from Tech. 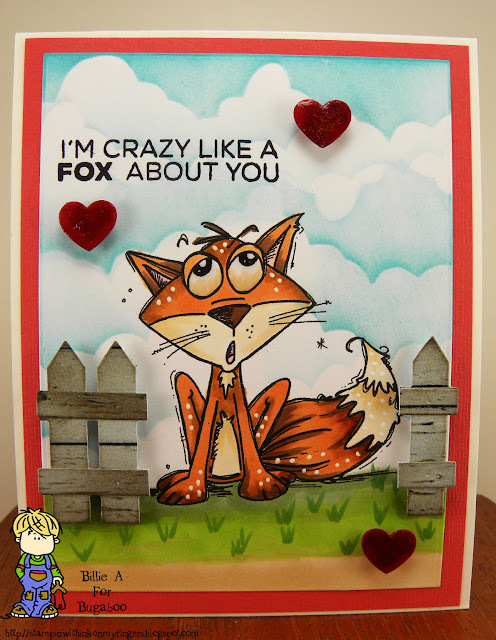 Tuesday.. so I chose I'm crazy like a FOX about you.. he / she has that shy look on it's face.. I colored the image with Copics and used some fencing from Paper Trey ink die. I used my cloud template and added some EK punched hearts. 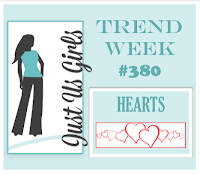 I added glossy accents to the hearts and eyes. Oh the hearts have Spectrum Noir before the glossy. I am still working at getting the white gel pens dots to my projects. 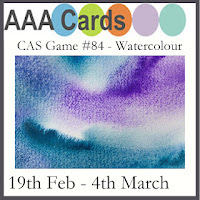 Sooner or later I will understand where those white dots should go or not go.. LOL .. but I am happy with this card. I hope you head over to the store and pick up this cute image. You might want to head over to the Catch the bug site and see the DT members cards.